Ceyfe Villa Marìa/Mendoza 1371/Tel: 0353/4615695-Whatsapp:3534208820/Facebook: Ceyfe Villa Maria: ATENCION ALUMNOS!!!! JORNADA DE ACOSO EN LAS REDES, EL TEMA DE ACTUALIDAD DEL CUAL ES INDISPENSABLE ESTAR INFORMADO Y ATENTO. 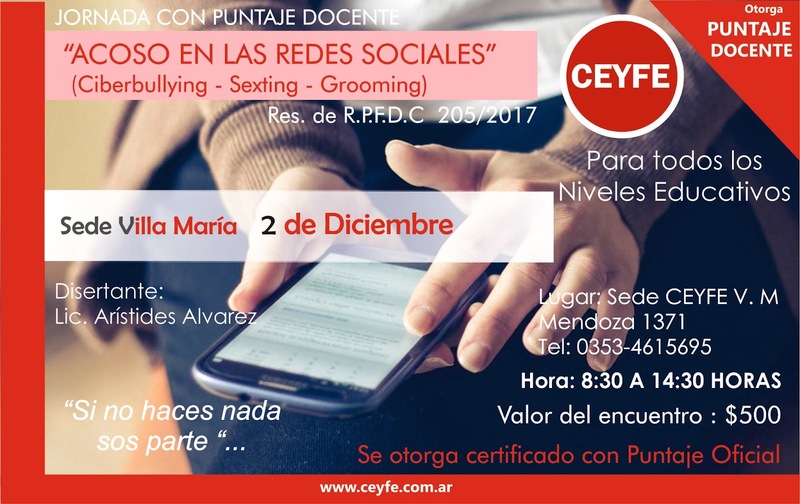 DESCUENTO ESPECIAL ALUMNOS DE CEYFE!! !